Bulla Ki jaana main Kaun? Bulleya! To me, I am not known. Saeen Zahoor was born and raised in a rural peasant family. 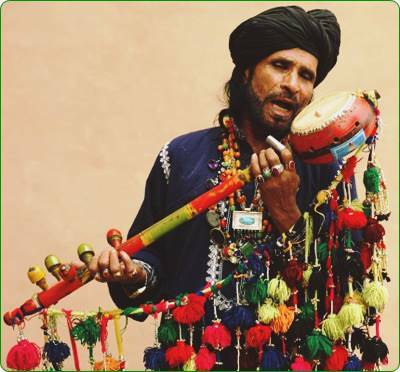 He was a hidden talent since for decades he performed exclusively at shrines in his native Okara district of Pakistan. In 1989 he was invited to the All Pakistan Music Conference to give his first ever performance, which instantly made him one of the best known singers of Sufiana and Arfana Kalam in Pakistan and worldwide. He is known for playing traditional stringed instrument like ‘ek tara’ during live performances besides singing, which sends the audience in state of Wajd or Ecstasy. Bulleh Shah immortal verses are sung by many generations. Here is a beautiful rendition by Singing Dervish of Okara, Saeen Zahoor.